The operation of a winter and summer resort lodging and recreation services; the promotion of a winter and summer resort lodging and recreation namely through advertising the wares and services of others. 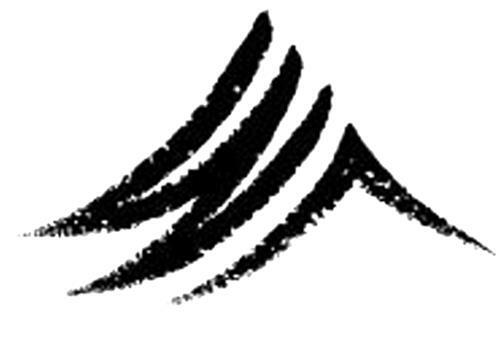 On Tuesday, December 2, 2008, a canadian trademark registration was filed for the above pictured logo by Whistler Resort Association 4010 Whistler Way, Whistler, BRITISH COLUMBIA, CANADA V0N1B4. The Canadian IP office has given the trademark application number of 1420403. The current status of this trademark filing is Registration published. The correspondent listed for is ACCUPRO TRADEMARK SERVICES LLP of SUITE 702 - 401 WEST GEORGIA STREET, VANCOUVER, BRITISH COLUMBIA, CANADA V6B5A1 The trademark is filed in the description of The operation of a winter and summer resort lodging and recreation services; the promotion of a winter and summer resort lodging and recreation namely through advertising the wares and services of others. .
(1) Waves -- Note: Not including waves represented by wavy lines (26.11.1 to 26.11.3). (4) Lines or bands forming an angle -- Note: Including chevrons and arrowheads formed by lines or bands. (1) - The operation of a winter and summer resort lodging and recreation services; the promotion of a winter and summer resort lodging and recreation namely through advertising the wares and services of others.